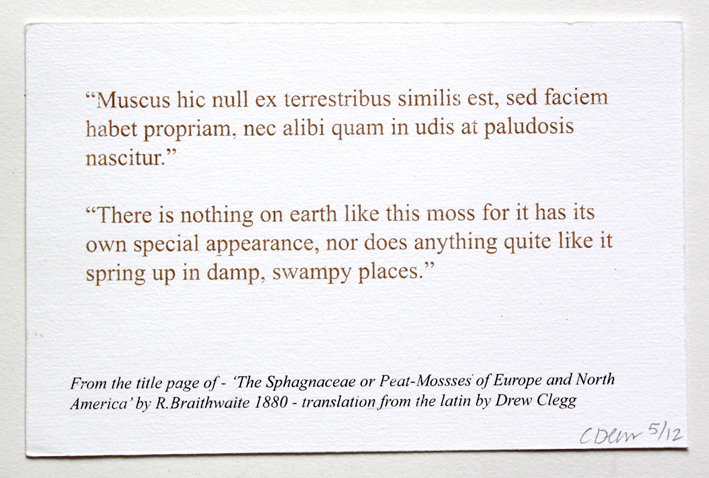 This seems to sum up the special properties of this plant - printed using peat. 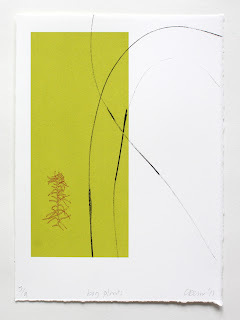 I have been looking through, selecting ones that are ok and signing them, very like finishing photographs properly, quite satisfying. 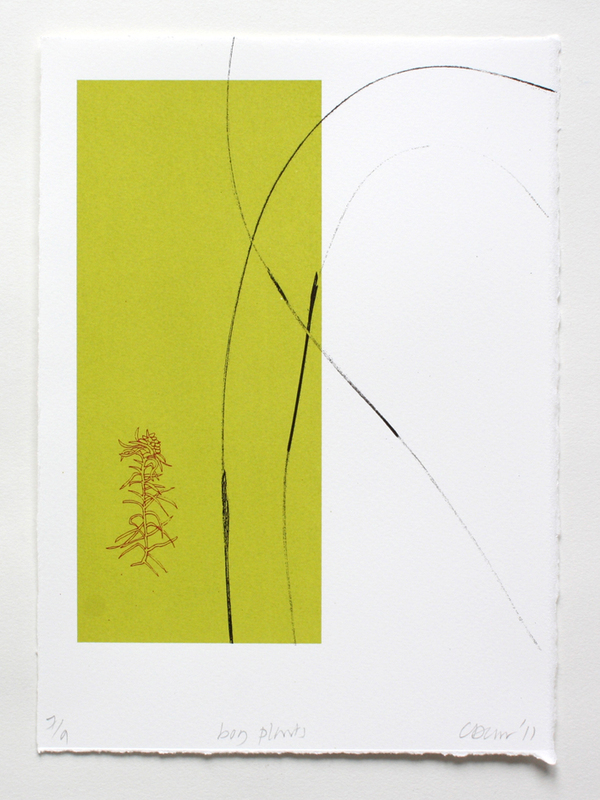 I like the balance between the delicate line of the actual grass (purple moor-grass), the drawing and the colour block, something which screenprinting can do well. 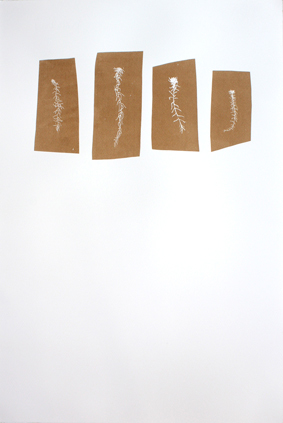 This print uses peat as the ink and I like the white space below - I originally planned this for a smaller piece of paper but felt it needed the space. 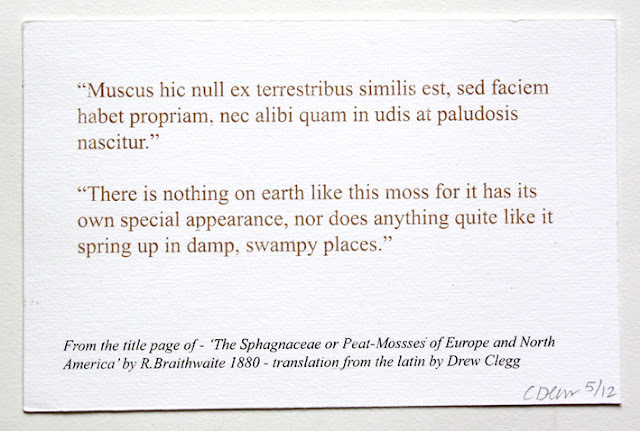 Four different sphagna pencil drawings then reversed in photoshop in order to give the peat more prominence.